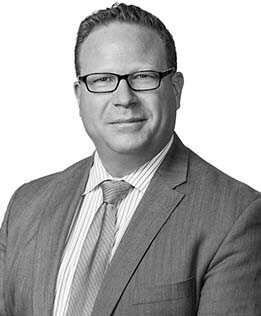 As GCG’s Executive Vice President and General Counsel, Scott D. Nader is responsible for handling GCG’s legal matters, overseeing its Legal Department, and managing its Compliance and Diversity & Inclusion functions. Mr. Nader is an innovative, business-oriented attorney who brings many years of U.S. and international expertise to his leadership role at GCG. Drawing upon his hands-on experience and practical insight, Mr. Nader develops and implements process-improvement strategies for GCG’s management and operations teams that directly impact the effectiveness of GCG’s client solutions in class action settlement administrations, restructuring and bankruptcy matters, mass tort settlements, regulatory settlements, legal notice programs, and data breach response programs. Mr. Nader has more than 19 years’ experience advising and leading organizations in various sectors. Prior to assuming his current role at GCG, Mr. Nader spent three years as Division General Counsel to Crawford & Company’s Americas segment where he was responsible for the legal and regulatory affairs of the company’s U.S. Property & Casualty operation, its Canadian, Latin American, and Caribbean companies, as well as its Contractor Connection and Canadian Class Action Services business units. Prior to joining Crawford, Mr. Nader spent over five years with AMEC-Foster Wheeler, a U.K.-based global engineering and consultancy firm, where he served in both legal and commercial roles supporting the company’s businesses in North and South America. Earlier in his career, Mr. Nader spent seven years in private practice advising corporate clients, negotiating commercial transactions, and resolving civil disputes at trial and through arbitration/mediation. Before law school, Mr. Nader served as a U.S. Army officer in a rapid deployment unit assigned in the Middle East, where he led and managed teams of 75 soldiers and non-commissioned officers with over $20 million in vehicles and equipment.